APTA – American Public Transportation Assn. LRTA – Light Rail Transit Assn. NOTE: This is the fourth commentary in our series Electrification 101 – a discussion aimed at informing transportation professionals, decisionmakers, and the public at large of the value and advantages of electrifying transportation operations, and the electrification of public transport systems in particular. Alan S. Drake, a former accountant, is an engineer and professional researcher based in New Orleans. Among his specializations are public transportation and energy issues. The United States of America is addicted to oil. And oil prices keep climbing, plus future availability is a very serious concern. What if Iran is bombed, Saudi Arabia has a revolution? What about Chavez in Venezuela, Nigerian and Iraqi civil wars, more hurricanes, or any other major oil supply interruption? And what if world oil production peaks and starts declining? World oil exports will shrink even faster than world oil production. Half the world's oil production is used in the nation of production; the balance is exported. In a shrinking – or even flat – oil production world, domestic demand will still grow in many oil exporting nations, shrinking the volume of available exports. A serious and prolonged crunch is in store for the United States if world oil production just fails to increase steadily. What can be done, and preferably done quickly, to save significant amounts of gasoline and provide a non-oil alternative for many millions of American commuters? A non-oil transportation alternative would be especially useful during a prolonged oil supply interruption or shortfall, when the Strategic Petroleum Reserve will simply not be enough. One very viable alternative is to build much more urban rail – in particular, electrified urban rail – and build it quickly. Such an approach also can preserve the quality of urban functioning while ensuring adequate mobility. In the USA, efforts to develop an adequate safety net of urban rail has been starved for funding at the federal level for decades – and even more so in recent years. One way the Federal Transit Administration rations out the relatively few dollars available is by slowing down all projects as much as possible. Thus it takes decades to build out new urban rail systems, one slow project after another. 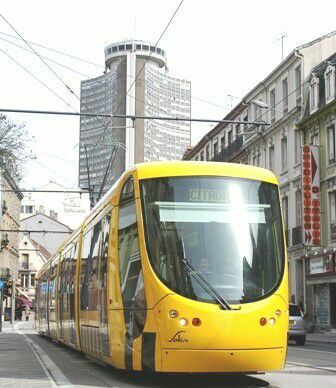 France has been vigorously installing new urban electric rail systems, such as this tramway system opened in 2006 in the small French town of Mulhouse (pop. 111,300). I have developed a list of urban rail projects in the United States that are close to "ready-to-go". In most cases, specific routes have been determined, some engineering has been done, and, for some projects, an Environmental impact Statement (EIS) has been prepared (although this may need updating). "If 90% federal funding (the same percentage of federal funding that built the interstate Highway system) were available, all of the projects listed below could, and likely would, break ground within 12 to 36 months. Completion dates would vary, depending upon the project, but a significant fraction of US oil consumption could be diverted to very high mileage electrified rail within a decade (see http://strickland.ca/efficiency.html). And many Americans will have a non-oil alternative to get to work. Reducing total US oil consumption by 4% (transportation oil use by 6%) is a reasonable goal in a dozen years just by focusing on building urban rail. These oil savings are comparable to an optimistic estimate of Arctic National Wildlife Refuge (ANWR) oil production – but unlike oil production, these savings will grow, and not deplete. Of course, other urban rail projects should be developed as this first phase is under construction, and coordinated with other oil-saving initiatives. An urban rail development program on this scale would, of course, create a vast building boom with spot shortages of critical resources. However, anticipation of continued demand should bring new supplies and suppliers into the market without undue delays or cost increases. Greater volumes in vehicles, rail, transformers and other items should bring efficiencies of scale and lower costs. Standardized engineering plans (such as exist for roads) could also bring best practices at lower costs. Urban rail projects that could be included in a Phase One program are listed below. These include electric light rail transit systems, commuter rail [regional passenger rail], systems, and subway-elevated or metro systems. A rough "horseback" estimate is that these projects would cost approximately $135 to $175 billion to complete. 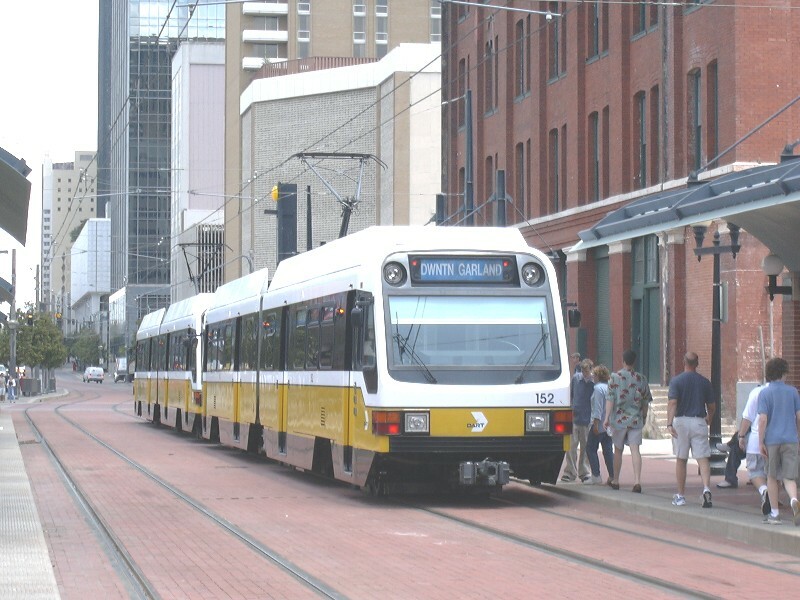 Dallas Area Rapid Transit's electric light rail transit system has proven tremendously effective in attracting new ridership and helping to revitalize both the regional transit system and the city's central business district. Strong local and regional support for rail has fueled a vigorous expansion program of both LRT and the commuter rail system. 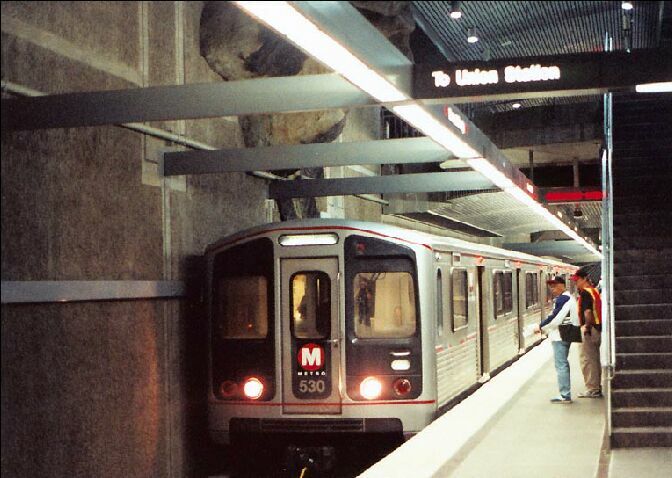 Tremendous success of Los Angeles's rail systems has fed local enthusiasm for expansion. 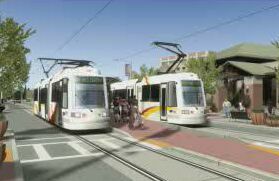 Proposals are being pushed forward to extend the metro system further along Wilshire Blvd. to Santa Monica on the Pacific Ocean – the long-awaited "Subway to the Sea". Minneapolis's Hiawatha LRT line has been repeatedly exceeding ridership targets a decade and a half early. 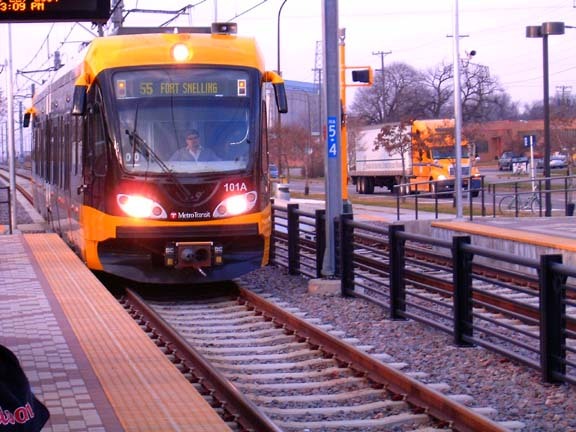 Success of the electric rail system has led to widespread community support for expansion, including a line connecting the city centers of Minneapolis and St. Paul. 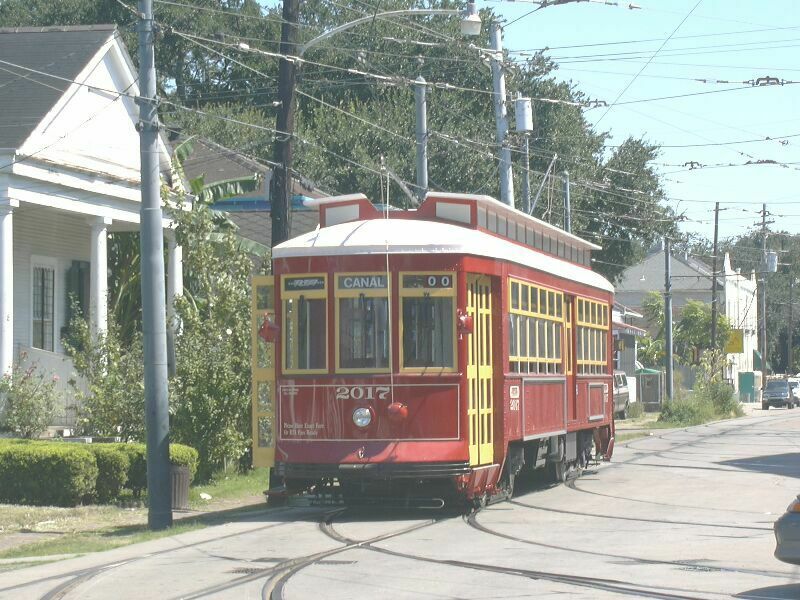 New Orleans built 31 new streetcars in-house for the Canal and Riverfront Streetcar Lines – modernized and improved versions of the iconic and beloved Perley Thomas streetcars that are still operating in New Orleans after 84 years of service. 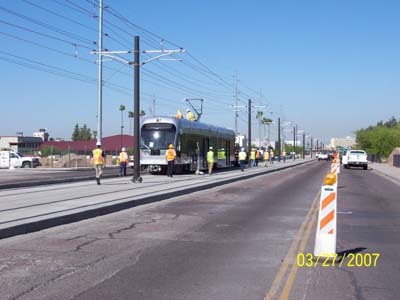 Construction of Phoenix's interurban electric light rail transit system is well under way. Vehicle testing was already taking place in March 2007. 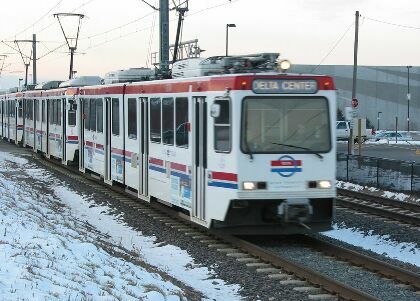 With one of the highest ridership growth rates in the USA, Salt Lake City's TRAX LRT system is widely considered a model of electric urban rail success. Responding to the strong interest of surrounding communities – and overwhelming endorsement of LRT expansion by voters – the Utah Transportation Authority has accelerated its urban and suburban rail transit development program. 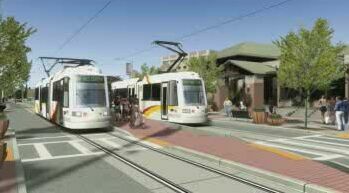 Tucson, Arizona is installing the first line of a modern electric light rail streetcar system. This rendition shows two cars serving passengers at a typical station.